Close to Lake Windermere as well as plenty of other attractions, there is something for everyone here! 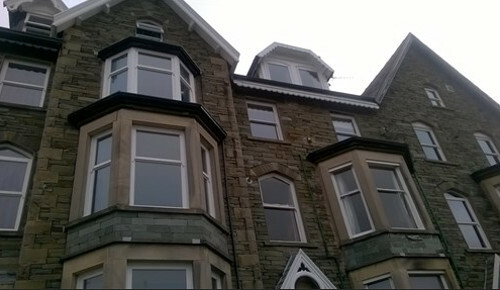 You might also like to have a look at what is available on our sister website Lake District Bed Breakfasts. Keys must be collected and returned to the main site, which has limited opening hours and no obvious dropping off point for keys. The Lake District is one of England’s most stunning areas, containing sixteen major lakes nestled amongst the country’s highest mountains. The landscape is almost alpine, containing glistening water, dramatic valleys and picturesque stone-built villages. 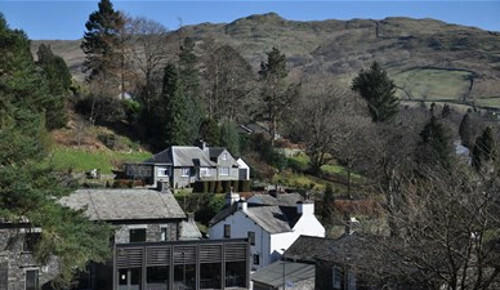 Ambleside is located five miles northwest of Windermere, and it a popular base for walkers, who are catered for by a large number of outdoors shops. Lots of parking is provided for day-trippers to the area, but the town tends to improve the longer you spend there. There are plenty of stunning local walks and a delightful selection of restaurants in the area. The rest of town lies a mile south at Waterhead, where the cruise boats dock, overlooked by the grass banks and spreading trees of Borrans Park. By train, the West Coast mainline runs to the east of the Lake District, connecting Oxenholme, Penrith and Carlisle with London and Glasgow. A direct train runs from Manchester to Windermere. If you are driving, the M6 runs to the east of the Lake District National Park; take Junction 36 and then A590 for the southern end of the Lake District; take Junction 40 and the A66 or A592 for the northern end of the Lake District. A-roads can be quite twisting so allow extra time for your journey and for finding a space in Car parks in high season. 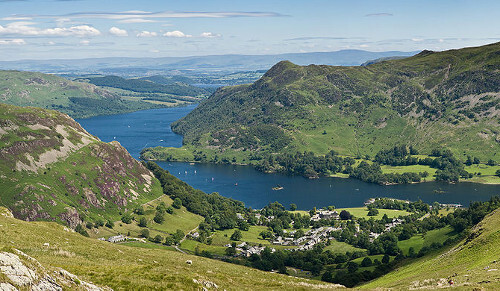 The Lakes were populated by the Celts, Romans, Angles and Vikings in succession. 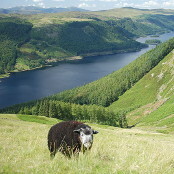 Still a major industry in the area today, farming was established in the region by the Romans, with sheep becoming the most profitable export. There are several hardy breeds associated with the area, such as the Herdwick, who are built to withstand harsh weather conditions. During the Middle Ages, all communities were poor and very rural. They relied on wool, crops and leather for the livelihoods, until the mid-16th century when mining and quarrying brought new prosperity to the area. With mining and industrialisation came railways. The Kendal and Windermere Railway was the first reaching Kendal in 1846 and Windermere in 1847. 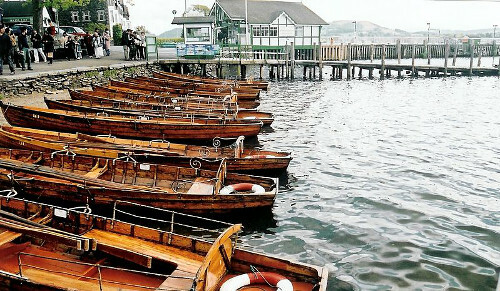 In addition to these, steamer boats were used on all major lakes including Ullswater, Windermere, Coniston Water and Derwent Water. Although these both grew due to the mining industry, in turn this lead to the growth of tourism in the area. Today this is the largest industry for the area.